I have managed the College farm for 20 years and Sarah stands out as a very special labor student. 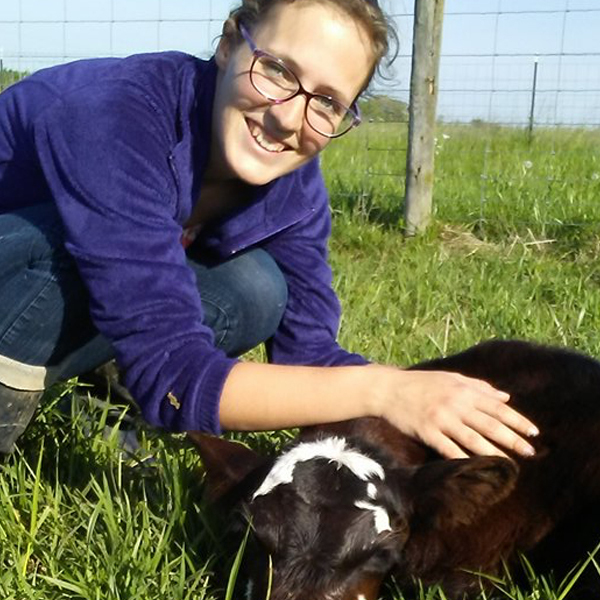 Sarah is the cattle team manager and in this role she leads her team in weekly meetings to plan the day-to-day, weekly and monthly work that needs to be accomplished. She coordinates these activities with the farm staff and other student managers. Her team plans and implements the feeding, breeding, health care, purchases, sales and fence repair for the cattle enterprise. Sarah balances her work responsibility along with academics and family obligations due to her excellent time management skills. The special part of Sarah is how she has made every students working at the farm feel a part of the team and she shows marvelous leadership every day. The way she works with other managers of the teams and her teaching abilities with new students has resulted in a camaraderie that makes the work flow along in a much better way. Sarah has also planned special events for the students at the farm. She has organized pot-luck dinners and fixed meals for those students working during holidays and not with family. When I think of Berea College, I think “Learning, Labor and Service.” The job that Sarah does every day is what this institution is really all about. The road she has travelled was not easy, but she did it with patience and perseverance. I will be so proud of her when she graduates in May and will miss her tremendously on the farm.